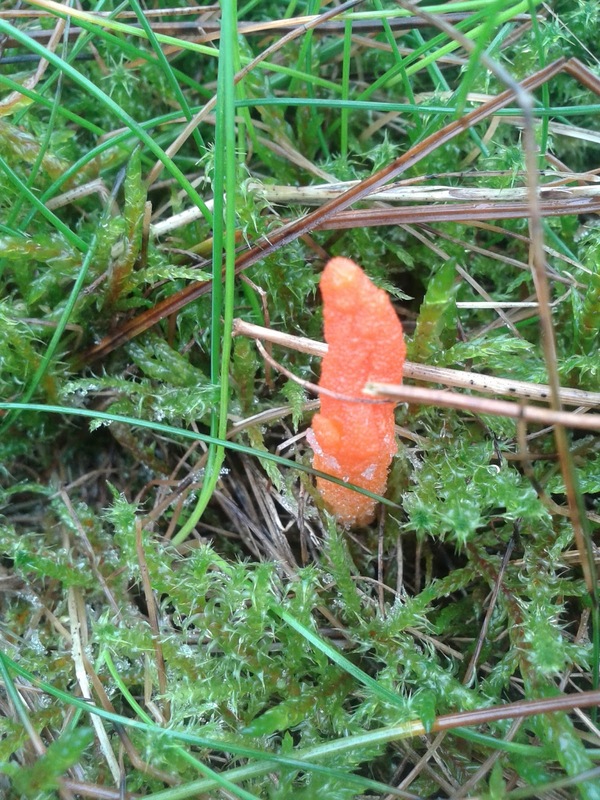 Carmarthenshire Fungi: Black mountain adventures. Apologies for the poor picture and lack of digging it up (in my defense it was freezing up there!) 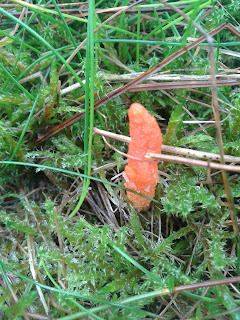 but another interesting story behind this little reddish gem poking out of the grass. You really should dig this one up to enjoy its underground treasure as at first glance you might think it's just a club fungus. This species grows parasitically on buried insects, this one in particular on butterfly and moth pupae and larva. It's a great aid for identification when you dig to find what its growing on or in this case out of! Splendid fat Cordyceps ---- the pupa (or whatever it was on) must have been a good size to feed this fungus. Fungi that attack insects /other fungi are an interesting lot. I dug up one attached to a pupa a couple of years ago. I put it somewhere safe so that I could show people who come on the guided walks but, erm, I can't remember where. Nice find that - they seem to appear rather randomly.